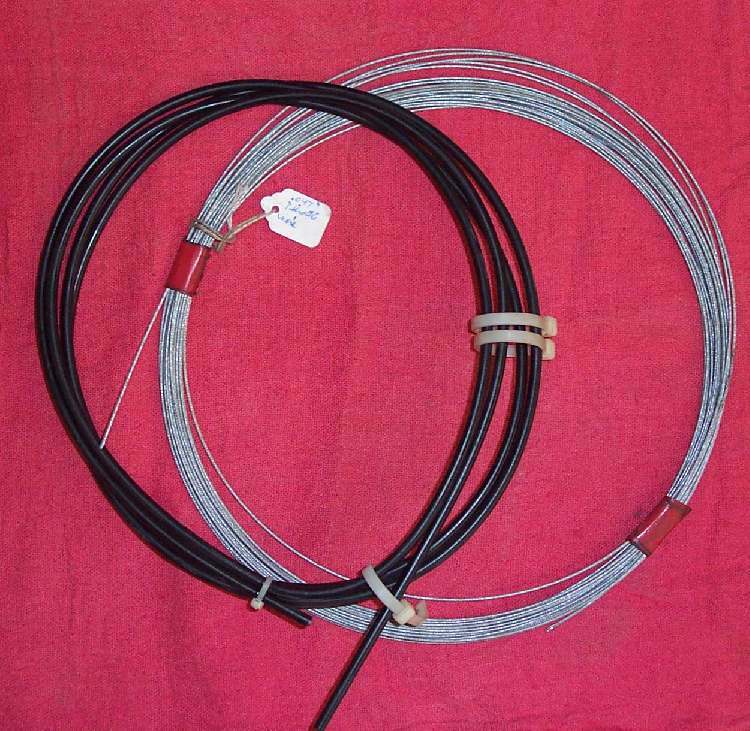 ¶ Bowden Control Cables are used on every bike made. We may have hydraulic brakes and clutch, but we still have good old Bowden Cables for the throttles. These cables are used to transmit mechanical force or power along the direction of the cable. 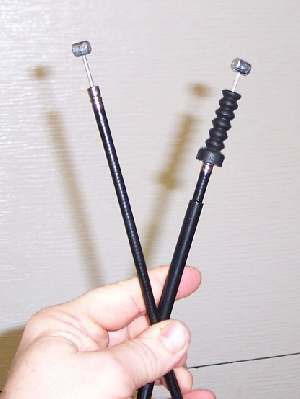 To be a Bowden cable, the inner cable must push or pull, but not twist, in relation to the outer cable. Cables have been around a long time for us, but we never seem to have time for them. I guess I can't yell at you too much... it's been a long time since I lubed the cables on my bike too. It's really pretty simple. 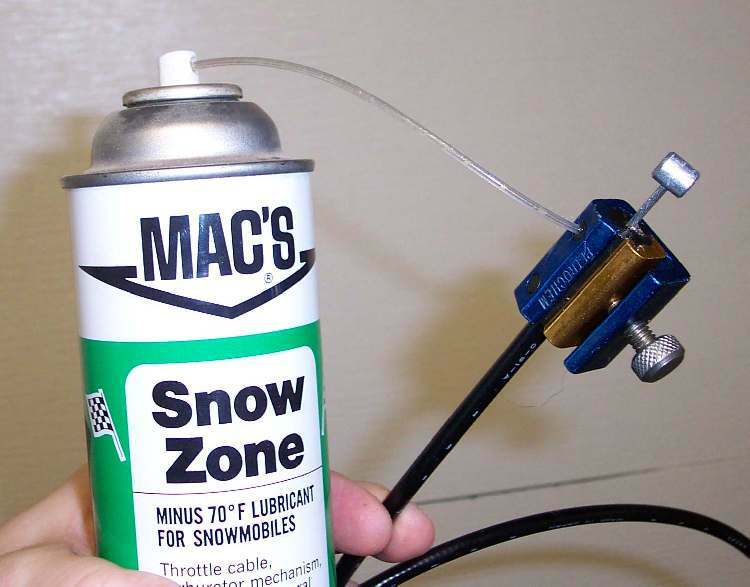 Unhook the cable end, hook up a cable luber to the cable, hook up the spray oil and have at it till oil comes out the other end of the cable. If you don't have a cable luber, you can do it the cheap way. Cut a little hole in the bottom of a small plastic sandwich bag, slip it onto the cable and tie it off with a piece of string or a rubber band. Pour some oil in the baggie and leave it there over night. The oil will slowly work its way through the cable. Both these ways work quite well if the cable housing is in good condition. 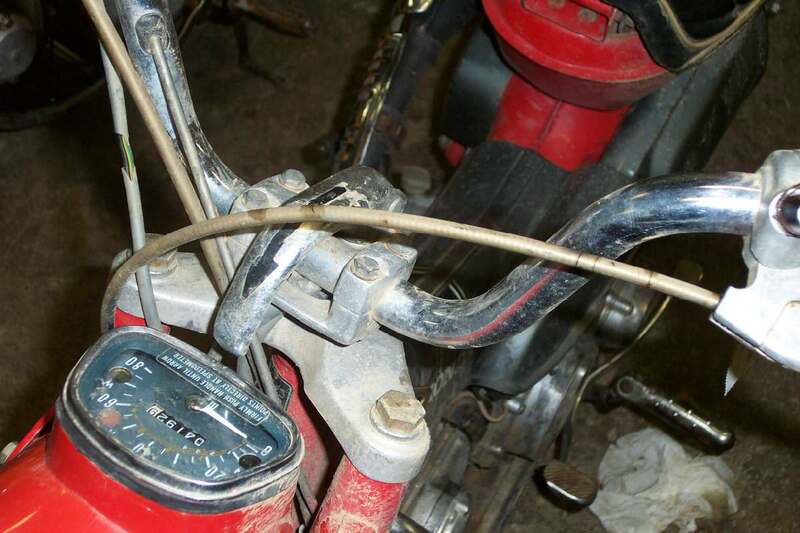 Trouble is, on lots of old bikes the cables have cracks in them, that allow the oil to run out. Sooo... now what? I use some stuff called Dry Slide. It is graphite and a solvent. You shake it up really good to get the graphite into suspension in the solvent, and then run it down the inner wire of the cable. 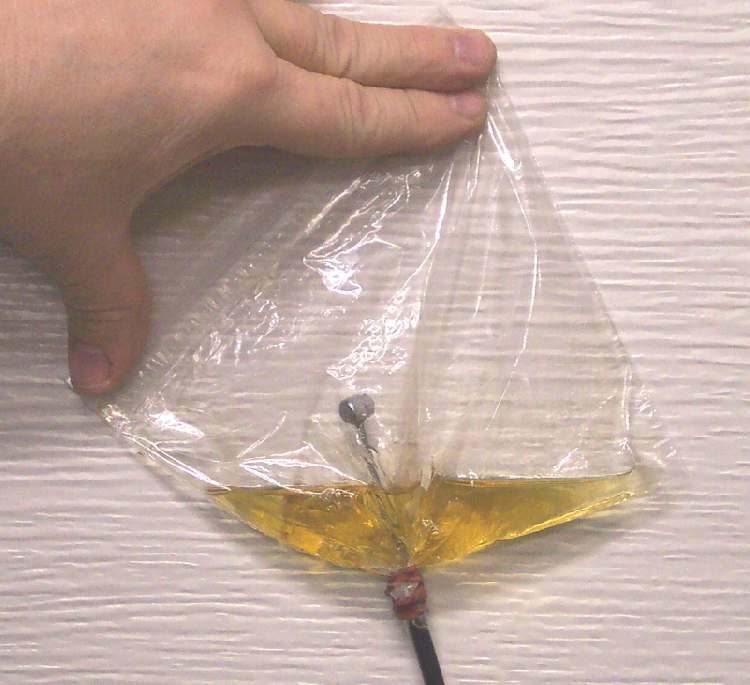 The solvent is of such low viscosity that it doesn't back up in the cable, and leak out the cracks, like oil does. When the solvent evaporates, it leaves behind the graphite, and the graphite provides the lube for the cable. No matter how good we take care of the cables, sooner or later, its going to break. When this happens the cheapest way out is to buy a new cable. You can repair them, or even make them up from scratch. Trouble is, it's a pain in the rear to make them. It sounds really easy. Cut the inner cable, cut the outer cable, solder the ends on and yo're done. Maybe I'm just a bad cable maker, but I've found getting the right length on the inner cable to be easier said than done. I always seem to get them a bit long or a bit short. 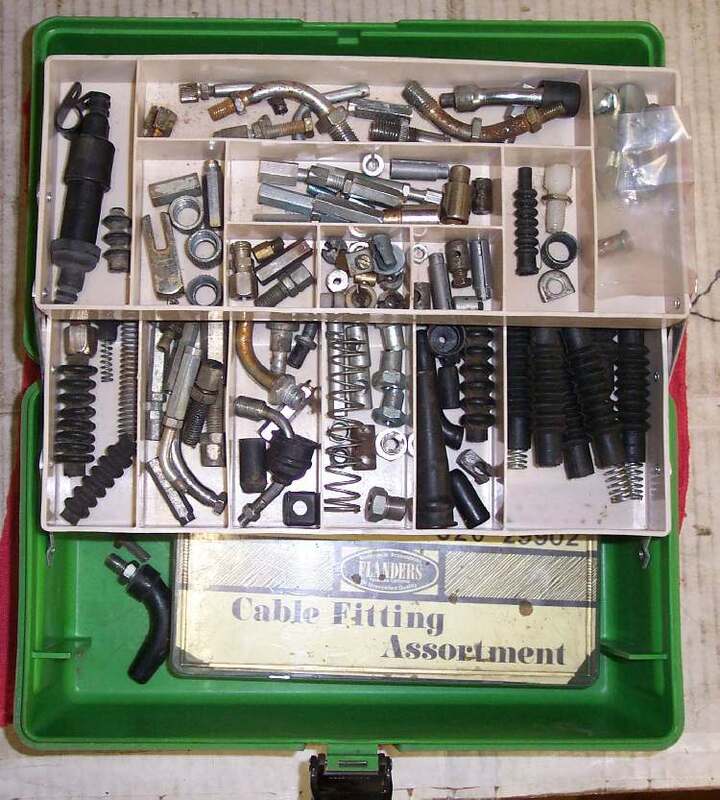 If you want to make cables you will have to get a set of cable ends, outside cable and inside cable. 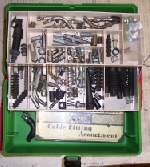 There are many, many, different types and styles of end fittings. The ends on new cables are usually made of steel and are swaged onto the cable ends. In swaging, the steel cable end is crushed in a special mold under tons of pressure. This locks the end to the cable. We don't have the swaging equipment so we solder the ends on. All the cable ends that you buy are made of brass and will solder well to the cable. There are thirty or forty different ends, four or five different sizes of outer cable, and six or eight different diameters of wire, depending on who you buy from. Even with all the different sizes of cable ends there will still be special fittings on different factory cables that you can't buy. 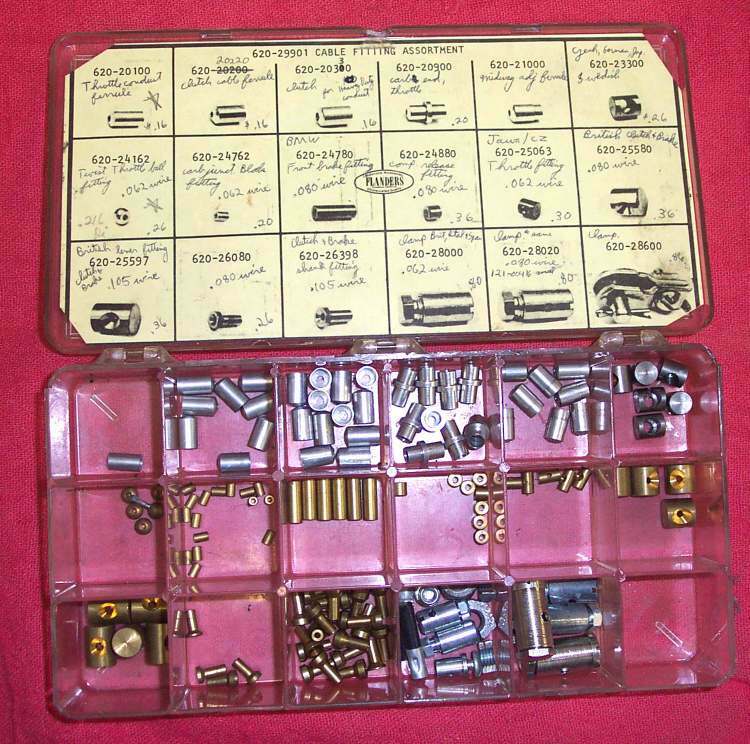 Because of this, when I replace a cable with a new factory one, I always save any old special fittings off the old cable, just in case I have to make a custom one in the future. Custom cables are where all the cable ends and wire really comes in handy. If you change to a different style and height of handle bar, the old cables may be too long or too short. Even with it being a bit of a hassle to make, custom cables can be just the ticket to make those new bars look right. The bulk cable rolls are usually 50 feet long, so as long as your custom scoot has a wheel base of under 50 feet, your in. Here are some Helpful Hints on soldering cables.